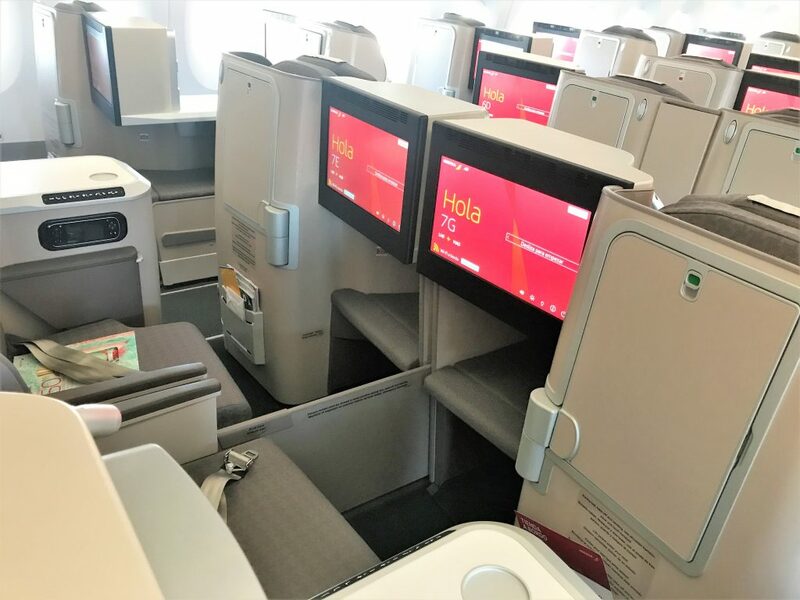 You may remember a couple of weeks ago we took a quick look at Iberia’s A350 with photos supplied from Reader Paul. I have now flown the Iberia A350 myself and this is my personal take on the new product. The flight that it was operating on was slightly confusing as it was a British Airways flight number but operated for BA by Iberia. This apparently leads to some issues…. When I tried to check in online I was not able to do so. I had an Iberia ticket (as it was cheaper) but both a BA and Iberia reference. On both websites, I could see my booking and had booked a seat but I could not check in. I checked that I had an e-ticket number (always do this first as sometimes not being able to check in means that your booking has not been ticketed – if so, call the airline immediately, don’t wait until the airport). I went straight to the BA First Wing to check in. There was no queue and one of the staff was handing round a tray of what looked like flavoured water. It was a nice touch but a glass of champagne would have been better! One of the staff on the entrance to security offered to check me in since there wasn’t a desk free and surprise, surprise he couldn’t do it either but confirmed I did indeed have a ticket. He was very helpful though and took me over to the First wing ticket desk whilst he had a look at the nearest one in the terminal to see if there was less of a queue. Fortunately, the guy on the ticket desk had seen the same issue before which apparently creates a ‘ghost booking’ that you can’t actually travel with. After a few minutes of furious tapping on his keyboard it was sorted but unfortunately, it meant I had lost my seat that I selected which was one of the coveted L window seats. There were no more left so I had to settle for the back window seat in the cabin. I was advised to try again by getting to the boarding gate early in case anything opened up. Iberia fly from terminal 5 at Heathrow so the lounges are the usual BA ones. 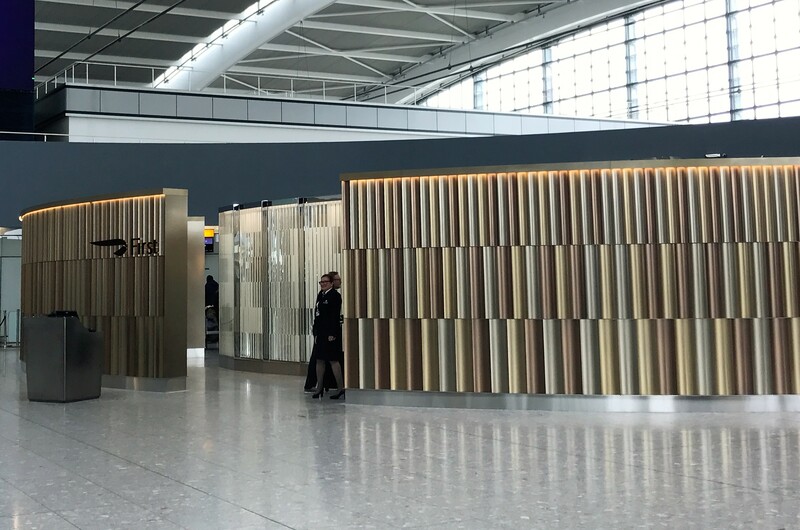 You can read my reviews and guide to BA T5 lounges here. As I am a Gold card holder I used the First lounge which was surprisingly quiet and for once a decent temperature. 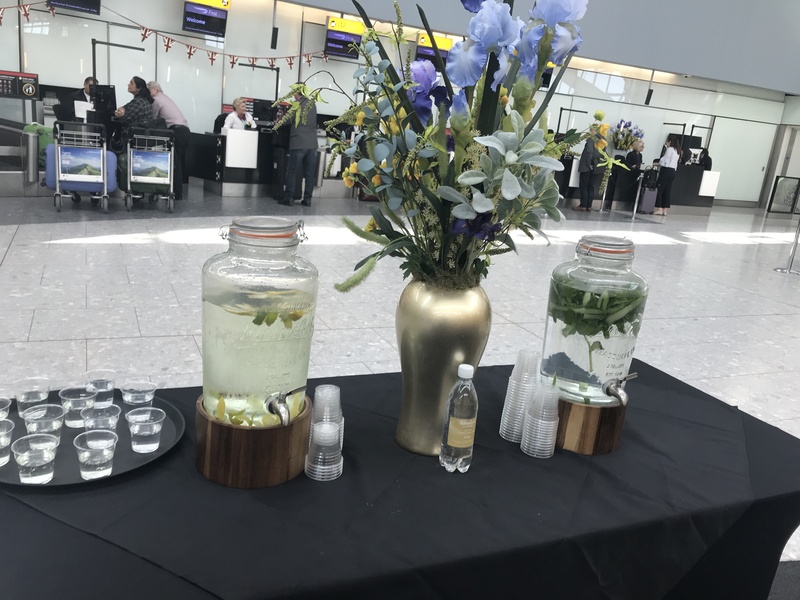 BA has different featured food and drinks from month to month and when I was there this week it was gin. 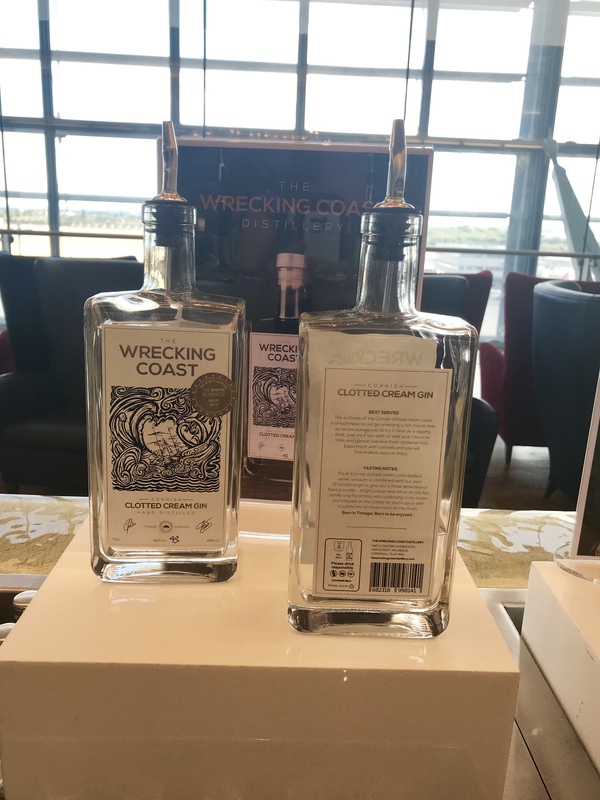 They had some nice niche gins which I felt I should sample so I went for the Wrecking Coast clotted cream gin. There appeared to be a lime and lemon shortage so I managed without. I enjoyed the gin which did indeed have a slight creaminess to it but not in an artificial or overpowering way. 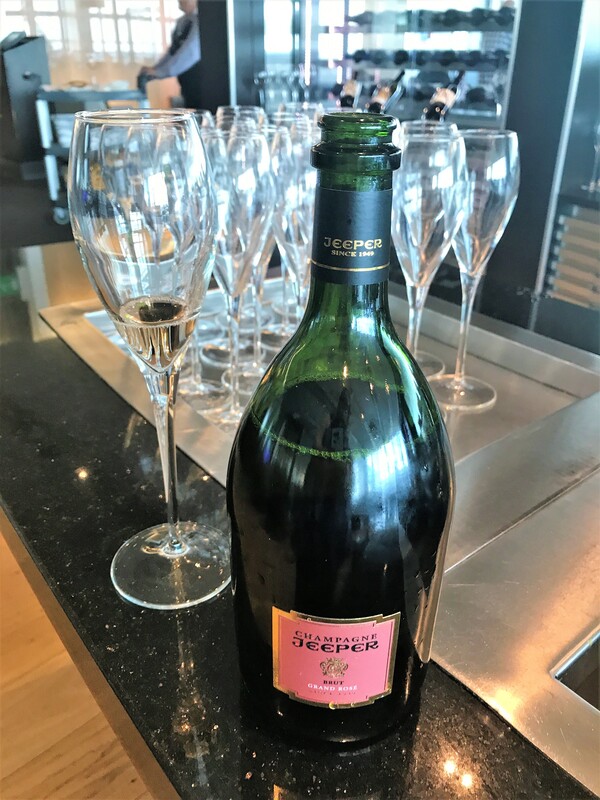 I also tried a few sips of the new Jeeper champagne which I wrote about in this article about BA’s new champagnes but it wasn’t for me. I found it too dry and lacking the hint of fruit you normally get with a Rosé Champagne. I had been advised to get to the gate early to see if they could get me a better seat. Again the BA staff were very friendly and helpful but alas none of the ‘true’ window seats were available. I was also allowed to board a bit early to get photos of the cabin before people started boarding. Boarding started with the usual pre-boarding families which I was glad I was able to board with since the usual rugby scrum of people had formed around the group boarding numbers. I was meant to be in 5L. 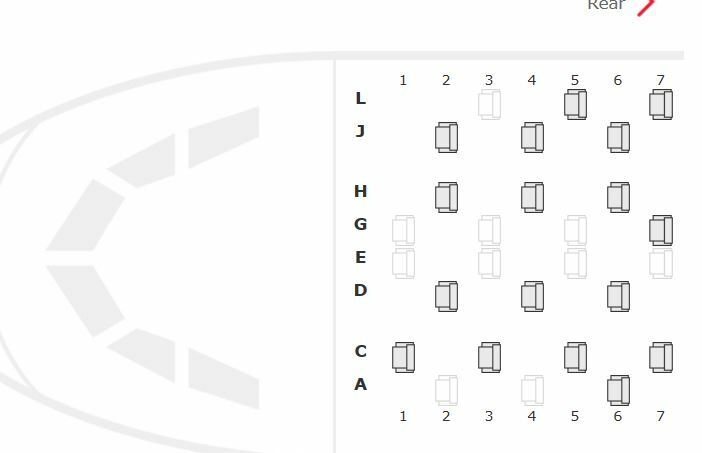 The L and A seats are the best single seats as they have the table between them and the aisle making it more private plus they are closer to the window. I also took the opportunity to have a look at the centre “honeymoon’ seats. If you are on your own you have plenty of choices. All seats have aisle access. The middle seats are in two layouts. The honeymoon pairs are very close together and although there is a fairly large divider that can be pulled up after take-off, you would feel very close to the person next to you until then. However, they would be perfect for people travelling together. The other centre seats have a pair of tables between them so would be absolutely fine on your own. My seat, 8J, was at the back of the cabin but still a window seat. These seats have the console table by the window meaning you are a bit further away from it and more likely to get knocked as people walk down the aisle. I didn’t find it an issue on this flight. The seat felt extremely wide, probably the widest I have sat in recently apart from Singapore Airlines. Storage space wasn’t particularly great for pre-take off. There were a couple of fairly open shelves that were quite small and after take-off you could put stuff under the footstool but that was about it apart from the table. I wasn’t keen on the seat belt with the over the shoulder restraint and I certainly wouldn’t want to wear that for too long on a bumpy ride. In terms of comfort, the seat was a little hard. 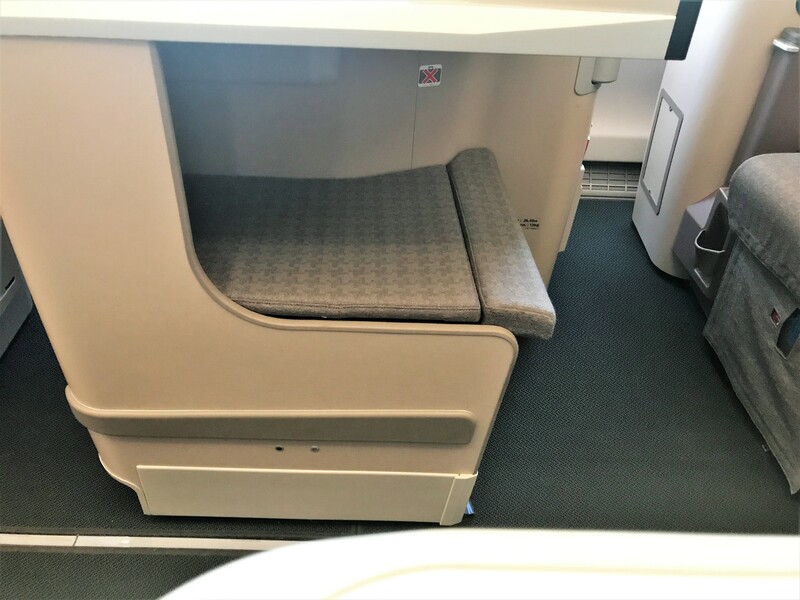 Some people have complained it was uncomfortable in the upright position but I find virtually all seats the same unless I can put my feet up. Once reclined it felt comfortable and I could easily reach the footrest. The controls were simple and you could move the seat forward if you were too far from the footstool. Obviously, this being a short haul flight there were no blankets or pillow given out. However, I did try and have a lie down to see how it felt. The seat goes very flat and felt like a wide sleeping surface. Again it was a bit firmer than I would like but I didn’t think it would keep me awake. It was nice that the footwell was not completely enclosed too as I find some are a little narrow. The table was well designed. It was large and felt solid enough to work easily on. I liked the way you could move it out of your way with it still out if you needed to get up before your tray was collected. 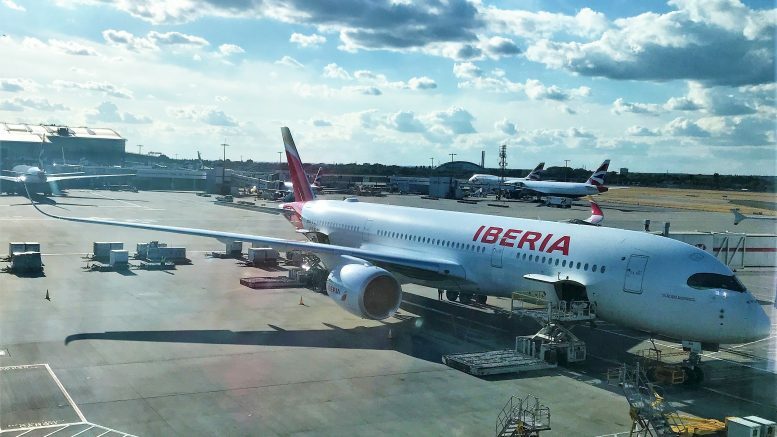 Since it was a short-haul flight it was a standard Iberia short-haul food service which was interesting to compare to the revised BA service on the way home (review to follow). 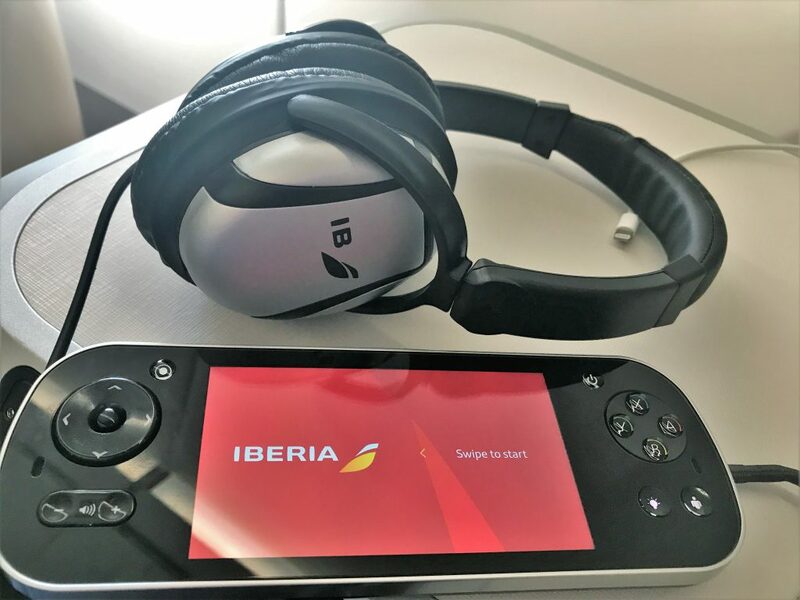 I had heard quite a lot of bad things about Iberia crew so my expectation were low. 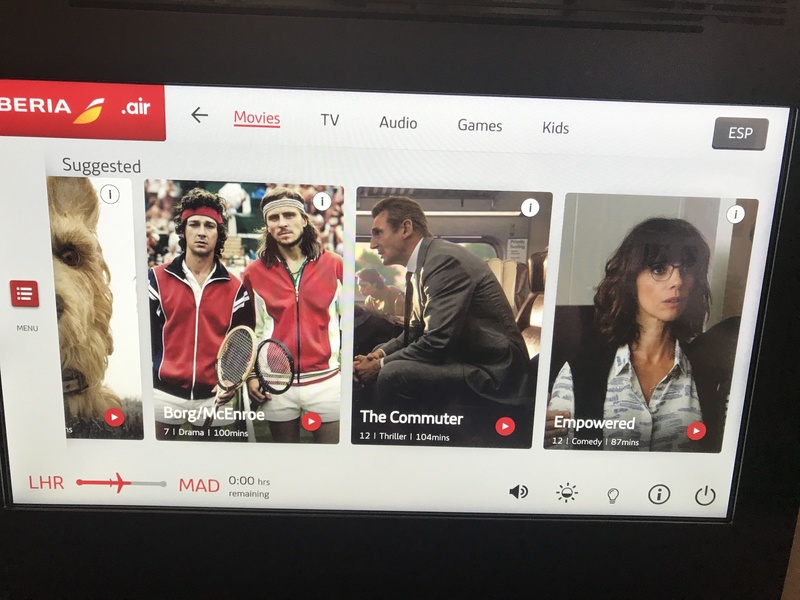 I was pleasantly surprised and I would say they were probably marginally better than the BA crew I had on the way home who were a bit lacklustre. The crew were perfectly friendly and pretty attentive throughout the flight. One of the crew noticed I was trying to look at the mini bottles of wine on the side of his trolley and took them all out to present to me which was a nice touch. 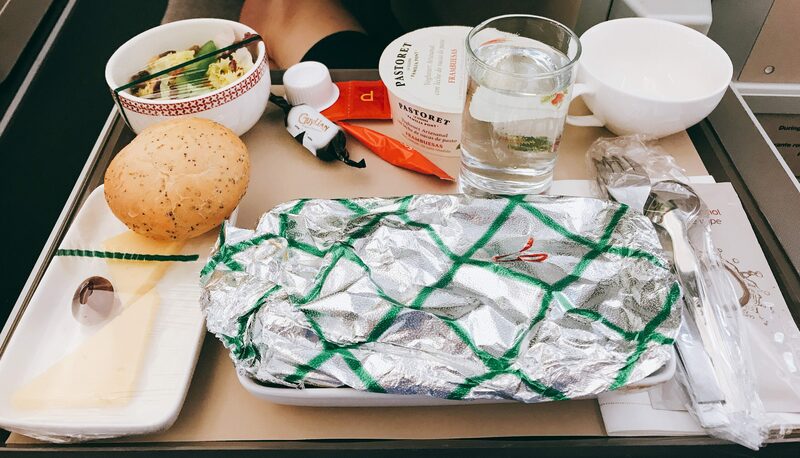 Meal tray – a bit economy looking? The presentation of the food was not great on the tray. Cling film has more of an economy vibe to me than screaming business class. I was offered the choice of two main courses and chose the chicken having been warned by Paul not to have the beef as it had the consistency of shoe leather! The starter was pretty bad as it consisted of a plain very dull salad with no dressing. This may have been an omission as I have seen bottles of dressing on other flights. I was offered bread from a basket a couple of times which was the usual airline standard of bread. The main course was a pleasant surprise. It was breast of chicken stuffed with a fruity filling in a slightly creamy sauce. It was actually very tasty and not dried out at all. 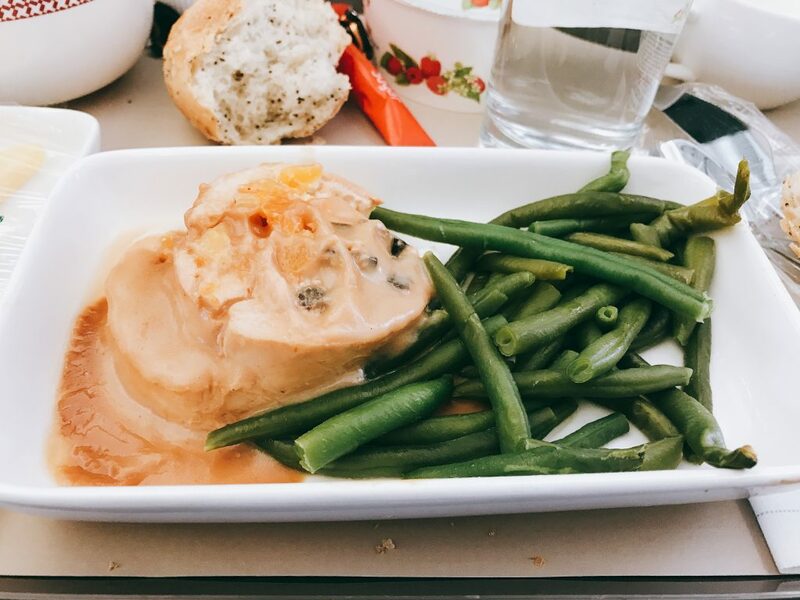 The green beans that accompanied it didn’t taste overcooked either which is a minor miracle for airline food. The cheese course was sadly also extremely dull. This was two triangles of cheap cheddar with a solitary grape and no biscuits. Pudding was a strawberry yoghurt but it was a good quality one and I quite enjoyed it. You did also get a chocolate. There was no menu so it was hard to tell exactly what they had drinks wise but they definitely had 2 white and 2 red Spanish wines to choose from in mini bottles. For spirits I spotted a bottle of Bombay Sapphire and two other small bottles which I couldn’t see what they were. I opted for the Ribera del Duoro red wine which was perfectly pleasant and better than some of the big bottles of wine BA have in Club Europe. Tea and coffee were served after the meal (again unlike the BA crew) but I had a second mini bottle of wine instead. Unlike Paul’s flight the entertainment system was working this time although the WiFi wasn’t. We were handed out noise cancelling headphones prior to taking. I found them comfortable to wear although mine seemed to have a dodgy wire so I switched to my own. The system was available before take-off which I always like, so I had a browse through what there was. I really liked the system itself with a large clear screen and a very responsive and simple to use hand-held remote. It was probably one of the best I have used, plus you could also control things from the main screen which had a touchscreen. I will be travelling long haul on the same aircraft later in the year so I will report back on the entertainment then. 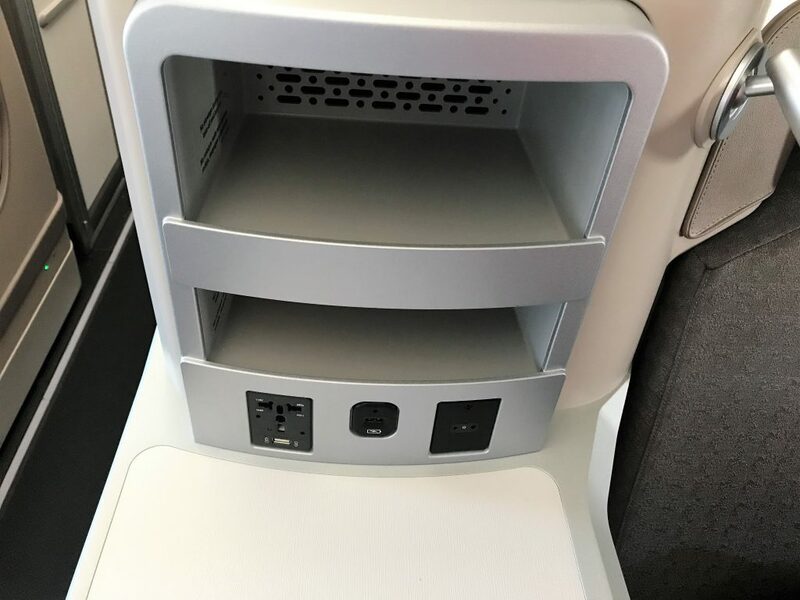 There was no shortage of charging points with both a multi-country socket and a USB port. Overall I thought this was an impressive seat and one of the widest I have sat in. 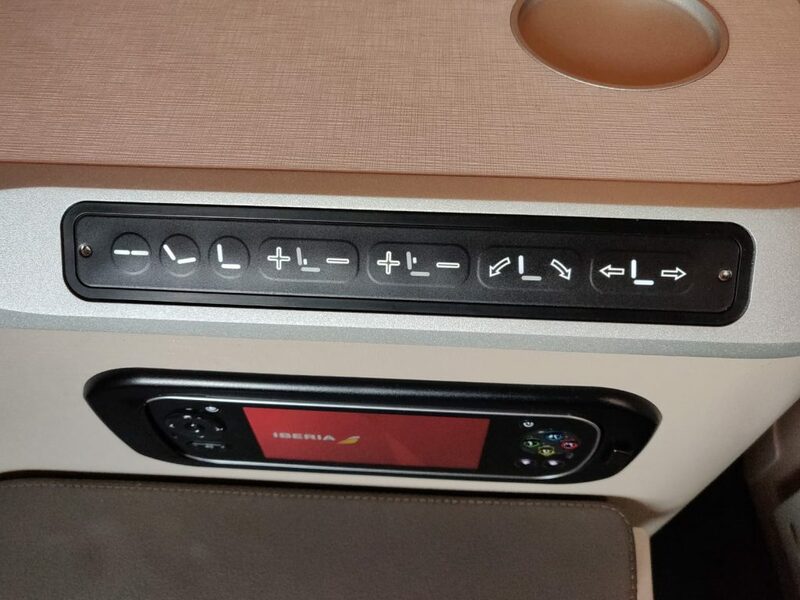 It was far superior to British Airways current offering though we will see what there new seats have to offer on the A350. I personally don’t think they will adopt this model since they were looking at lots of bespoke designs but we don’t really know at this point. 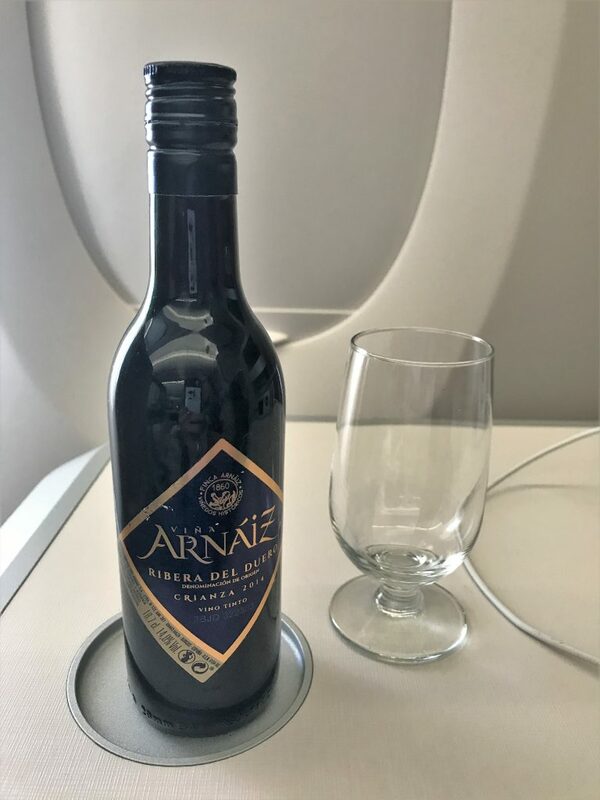 The food and drink was pretty average but for a short haul flight it was acceptable and actually was better than BA’s offering until they switched to the better menus recently. I certainly would have no problem flying Iberia again. 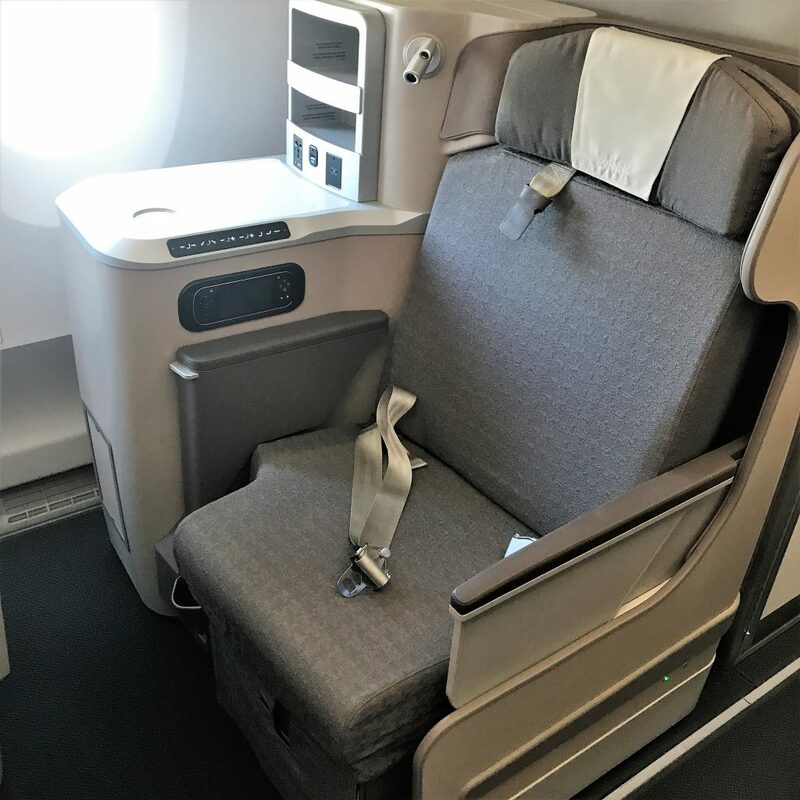 I will be reviewing the BA B777 on the way home soon but if you want to find out what other opportunities there are to fly long-haul business class on short haul routes you can read this article. 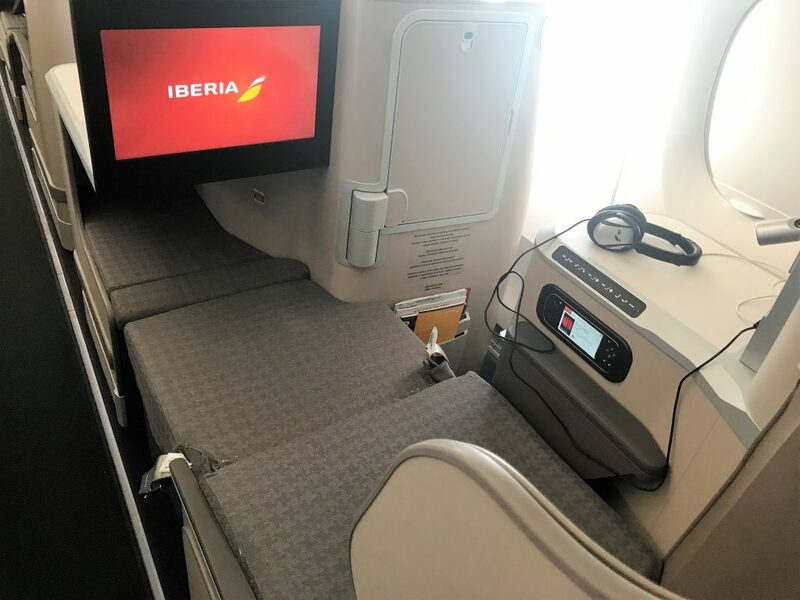 Paul’s original Iberia A350 review is here. 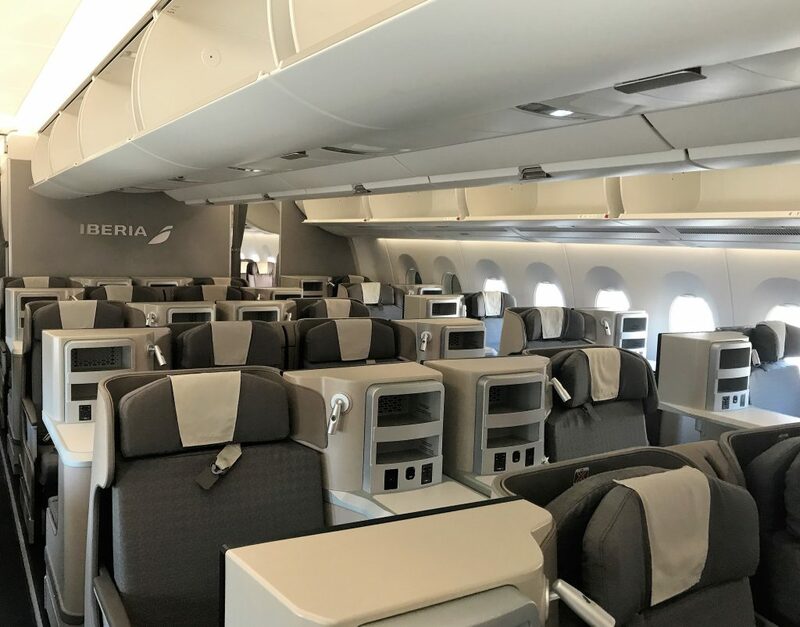 7 Comments on "Iberia A350 business class short haul full review"
Nice report Michele – I have mine coming up in a couple weeks – cannot wait !! Thanks Stuart. Hope you enjoy! If I apply for HH Gold through Amex Platinum membership, will it expire March 19 or longer? 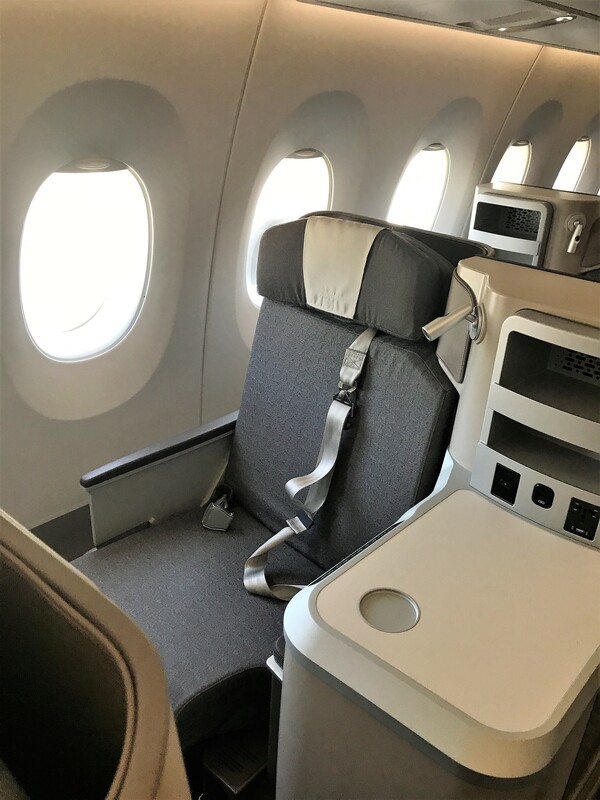 Do you have any idea when BA ‘might’ show more information on their new Club World seat? Rumour has it this month. That would be amazing. They have fallen so far behind and I’m very close to jumping ship. I mean who has a business class product where you have to climb over a strangers legs? Yes they took their eye off the ball which they admit. They will definitely be all aisle access.